*This is a collaborative post, however, as always, all thoughts and opinions expressed in this post are 100% my own. I'm a mum to two busy little boys. Two busy little boys who almost seem to be hungry! Their day revolves around mealtimes and even between those they're always looking for a snack. It's essential for me to bring snacks with us wherever we go and one brand I've loved ever since Tyler was a baby is Organix. 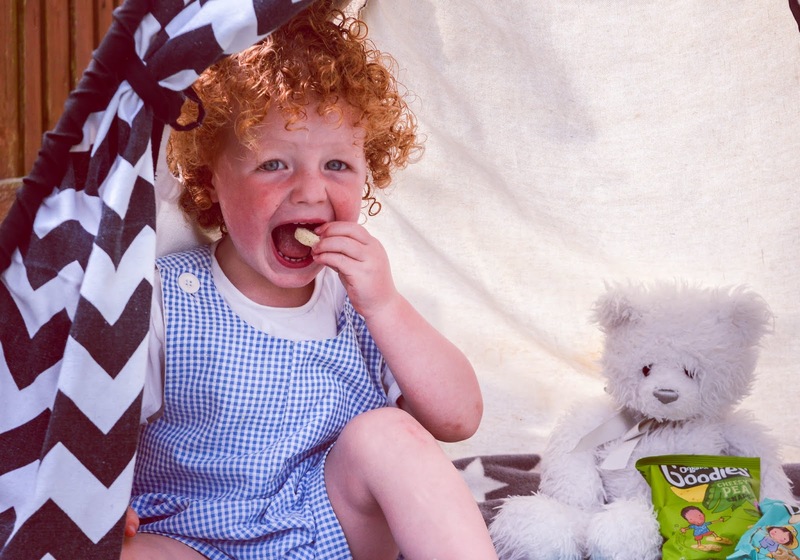 Organix have a great range of delicious and healthy snacks for kids (and big kids!) alike. I have to admit, I'm quite a fan of their delicious offerings too, especially the Oaty bars and the boys have never said no to an Organix snack. 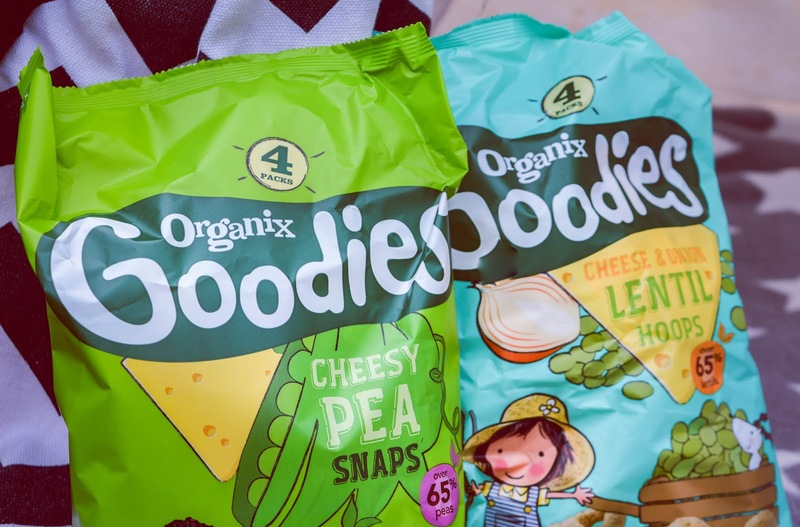 Organix recently added to their fantastic Organix Goodies range with some savoury veggie toddler snacks that are just too good to resist. The two new offerings are the Goodies Cheese and Onion Lentil Hoops and the Goodies Cheesy Pea Snaps. Both boys were huge fans of these new snacks from Organix and it was great to see them enjoying a snack which they saw as a treat but which was actually healthy for them to eat. 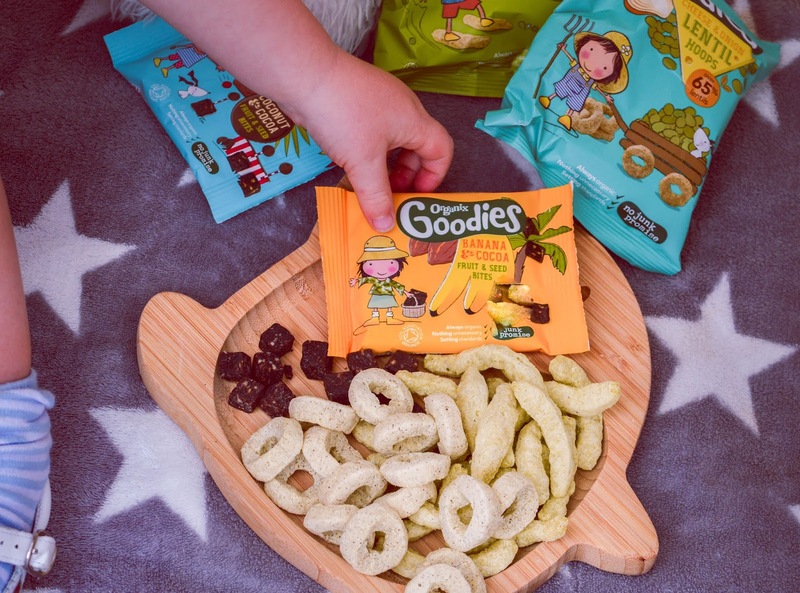 The Goodies Cheese and Onion Lentil Hoops are baked with over 65% lentils and they're suitable from 12 months. These are €3.29 for a 4-pack. The Goodies Cheese and Onion Pea Snaps are made with over 65% peas and are baked instead of friends. These treats are shaped like a pea pod and are perfect for little hands to grasp. These are also suitable from 12 months. These are also €3.29 for a 4-pack, but I often find the Organix range on offer in Boots and Tesco and I always stock up when I do. I love that these two new offerings from Organix are on the savoury side and the bags have been perfect for taking out and about with us. Beau has been known to enjoy a bag when we're out on our daily walk, he can't get enough of them! As you can see from the pictures he really enjoyed them! The hoops and snaps come with the Organix no junk promise, which means that your little ones can snack happily and healthy without consuming anything unnecessary. These truly are great tasting snacks without the junk and are food that parents can trust. For more information on Organix and their #FoodYouCanTrust visit www.organix.com. We love Organix! 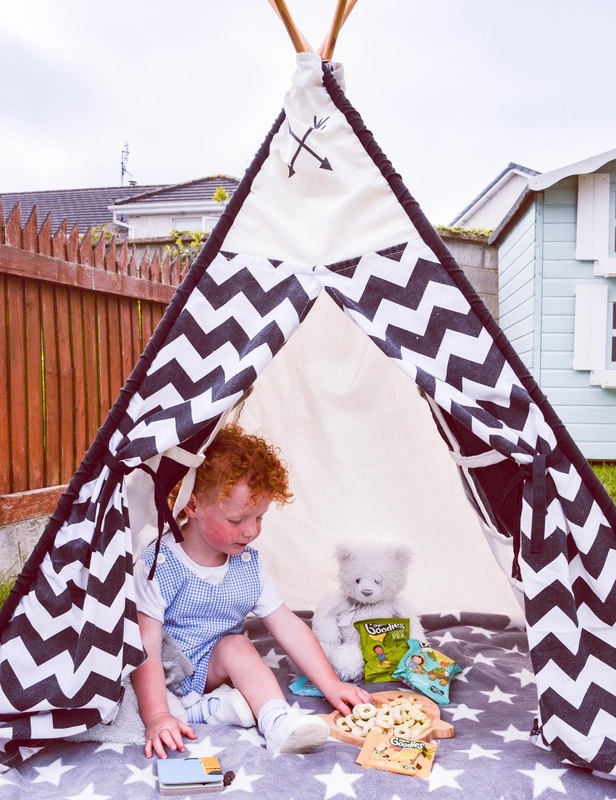 They have such a great range and the kids love them for snacks and when we are out and about! Organix was a brand I loved when we were living in the UK. Their snacks always went down a treat with my son. Sadly we've nothing like it here in Portugal. My kids used to love the Organix snacks when they were little - it would keep them busy while I did a supermarket shop! 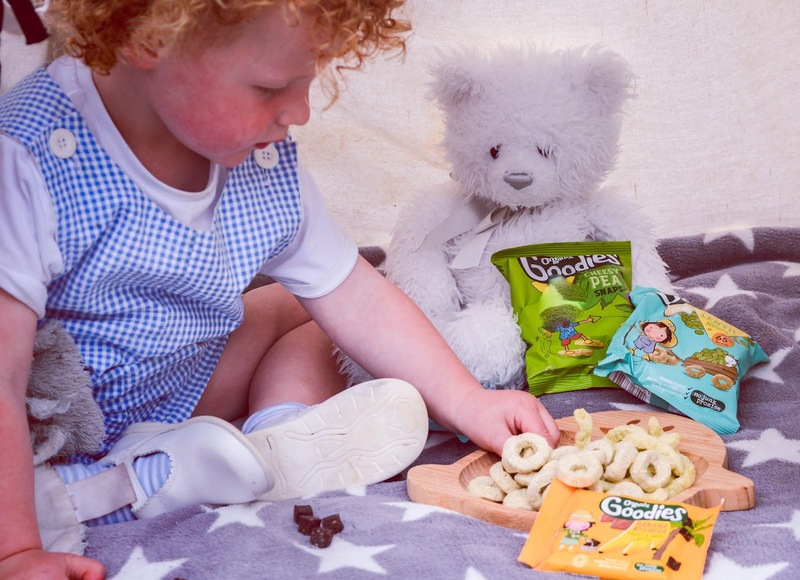 We still love snacking on the Organix goodies and they are great for taking away on days out!